A futuristic, fast paced, first person grappling adventure! Tension takes place in a futuristic facility where you are training to join a prominent, high-tech group that opposes a totalitarian government. You use a full body suit, imbued with a grappling hook, air-brakes, and jump jets to navigate obstacles and prove yourself worthy. This fast paced urban race/puzzle game is sure to keep you interested and excited for more. High tech suit employing new game mechanics like the grappling hook, air-brakes and jump jets. Voice acting to accompany on-screen tips to aid the learning process. Simple control scheme, minimal buttons with the same level of control. Large and complex levels to combine skill and use of the suit. 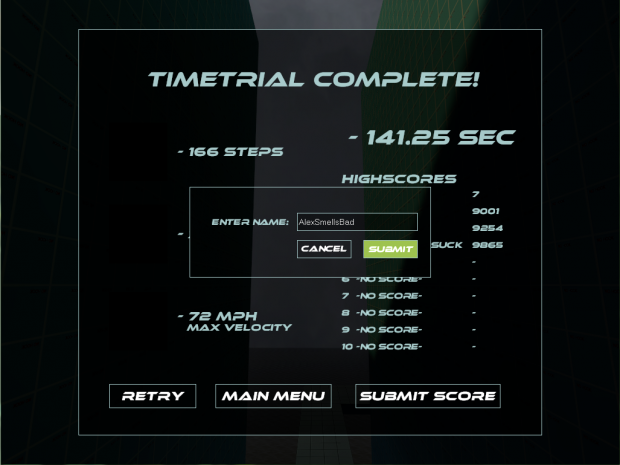 Time trial mode to test your metal and compare with the rest of the community. Hey all! Alex here, I know it's been a while since I've posted but this next feature I've been working on has taken quite a bit of time to get the proper infrastructure in place so here goes. 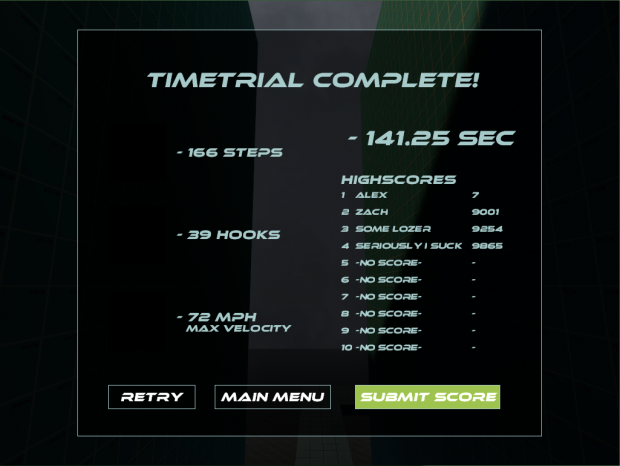 I've been working on implementing an online highscore system in for Tension to be used in time trial maps. This system would allow users to compare themselves to other players around the world and try and achieve recognition as top of the food chain. As you can see it will automatically retrieve the global times for the map you've completed, and clicking on any name in the list will show more detailed stats (steps, hooks and max speed). If you've placed you can then submit the name of your choosing to the server and have it the envy of players everywhere, we are also actively looking into the option of allowing players to load “ghosts” of top players in game to view their route, or perhaps try a footprint/hook scheme similar to mirrors edge. 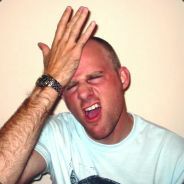 Or just let the player fend for themselves, since we've found that the most shall we say.. Creative (read: borderline cheating) solutions are found without prompting. As always, comments and feedback are awesome! Just a quick update today, where we've been, where we're going, and how we're going to get there. Finally, something for you besides new map concepts! Training Room Mockups + Happy Holidays! A few screen shots showing some of the work in progress trainign rooms focussed mainly on playable geometry and soft lighting. Wow! Looking great! When do I get some sort of download, or are you planning to sell it? Because I would DEFINITELY buy it! If you guys need help, i can allways help with testing/animating/mapping. It's been just about 6 months since we've heard anything.. I'll probably presume this mod dead in another 6 months time. I hope you guys are still working on this! well. AFF just updated their site after about 2 years. YOU BETTER NOT DIE ALLRIGHT?